A Personal Journey. 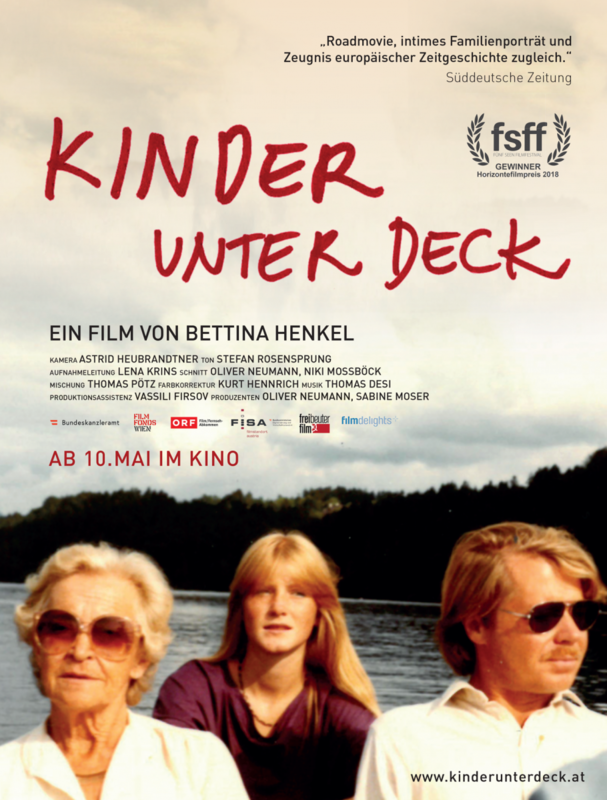 Masterclass with Bettina Henkel (Academy of Fine Arts Vienna) and screening of documentary "Children below Deck"
Bettina Henkel, born in Germany, lives and works in Vienna/Austria since 1994. She is an artist and lecturer, since 2000 she is teaching at the Academy of Fine Arts Vienna, where she is heading the “media lab” and the “research lab for film & television”. Her domain of interest and teaching subject are documentary between history and biography. After being educated in modern dance, she studied art history in Munich and Painting at the Academy of Fine Arts in Nuremberg/Germany. With a grant from the DAAD she moved to Vienna and studied Visual Media at the University of Applied Arts in Vienna. "Children below Deck" (2018, 93 min) is her first feature length documentary. The film was screened at several filmfestivals in Europe and won the Horizonte Filmprize at the “12. Internationales Fünf Seen Filmfestival”. Powered with the CEU Humanities Initiative, organized by the Visual Studies Platform in cooperation with Blinken OSA Archive.